Milford Sound is a fjord in the south west of New Zealand's South Island, within Fiordland National Park, Piopiotahi (Milford Sound) Marine Reserve, and the Te Wahipounamu World Heritage site. It has been judged the world's top travel destination in an international survey (the 2008 Travelers' Choice Destinations Awards by TripAdvisor) and is acclaimed as New Zealand's most famous tourist destination. Rudyard Kipling had previously called it the eighth Wonder of the World. 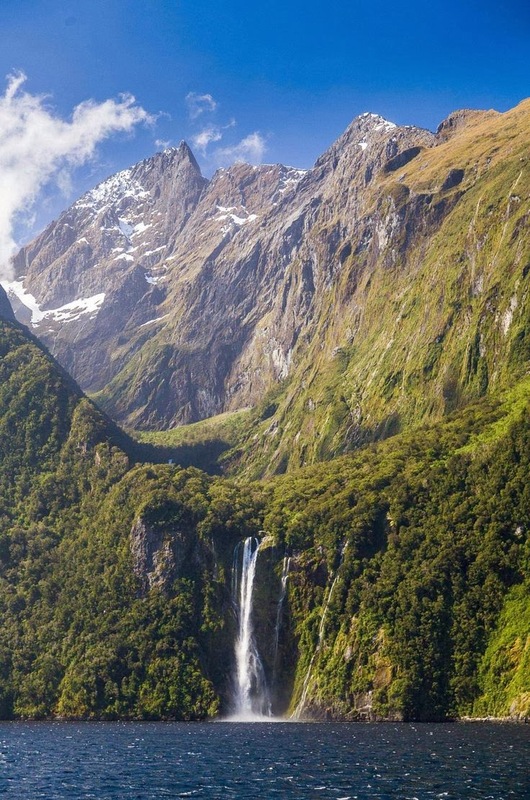 Milford Sound runs 15 kilometres inland from the Tasman Sea at Dale Point (also named after a location close to Milford Haven in Wales) - the mouth of the fiord - and is surrounded by sheer rock faces that rise 1,200 metres (3,900 ft) or more on either side. Among the peaks are The Elephant at 1,517 metres (4,977 ft), said to resemble an elephant's head, and The Lion, 1,302 metres (4,272 ft), in the shape of a crouching lion.